“Pet Sematary” was and remains one of Stephen King’s most devastating horror novels — a meditation on grief, guilt, and the distinct way the two are intrinsically linked. King almost didn’t release his novel; his wife Tabitha and his friend Peter Straub thought it was too upsetting, and so it sat on a shelf until King needed a novel to complete his contract with Doubleday. In 1983, “Pet Sematary” was released, and just six years later it hit the mainstream with a film directed by Mary Lambert. Almost 30 years after Lambert’s film, directors Kevin Kolsch and Dennis Widmyer (“Starry Eyes”) have collaborated on a new adaptation of King’s novel that succeeds in some areas where the 1989 version failed while ultimately failing to deliver an ending that resonates as deeply as its source material. Louis (Jason Clarke) and Rachel Creed (Amy Seimetz) have just relocated with their two children from the big city to the quiet, rural Maine town of Ludlow, where they hope to establish a sense of normalcy. As a doctor, Louis has worked the night shift for years, tending to some of the most horrific and brutal emergencies. This move should be a nice change of pace for the family, and especially their children — eight-year-old Ellie (Jete Laurence) and toddler Gage (Hugo and Lucas Lavoie) — but almost immediately the family is hit with tragedy when their cat, Church, is hit by one of the fuel trucks that speed recklessly down the county road in front of their home. On the advice of their neighbor, a friendly widower named Jud Crandall (John Lithgow), Louis buries Church in a secret area beyond the local “pet sematary,” where children often lay their pets to rest in eerily ritualistic fashion. But then Church comes back. He’s not the same. By now most viewers are undoubtedly familiar with how this goes: Sometimes dead is better. And yet when tragedy strikes the family again, Louis fails to adhere to this lesson. Kolsch and Widmyer, working from a screenplay by Jeff Buhler, engage with those expectations directly. King’s fanbase is vast, and there are few horror-film fans who have not seen Lambert’s 1989 film — a classic despite the tonal discrepancies between the late ’80s and today. The new version of “Pet Sematary” is both darkly humorous and quite chilling, modernizing some of the cheesier emotional beats of that earlier adaptation. For much of the runtime, the directing duo confront grief and guilt in a manner that resonates deeply; familiar as viewers may be with the source material and Lambert’s take on it, Kolsch and Widmyer manage to subvert those expectations to deliver an unnerving exploration of death and its emotional effects. That approach may appear heavy-handed to fans of both the novel and the 1989 movie — as are winks and nods to King’s bibliography — but this “Pet Sematary” is more effective than the previous adaptation, at least until the climax. It’s in the third act that Kolsch and Widmyer’s ambitions get the best of them. The macabre poignance of the first two-thirds of the film swiftly devolves into silliness, ending on a note that is neither heartbreaking nor horrific. That’s a shame, given the 80 or so minutes that preceded it. Seimetz and Clarke anchor the film as the grief-stricken parents, and the former in particular grounds some of the story’s wackier concepts — like the flashbacks involving the death of her sister. Those scenes are leaps and bounds better than they were in Lambert’s version, and help illuminate Rachel’s struggles with the concept of death. That character development is key to understanding her ongoing arguments with Louis over how to explain Church’s disappearance to young Ellie. Similarly more effective in this iteration is the brutal death and subsequent reappearance of a college student named Victor Pasquale (Obssa Ahmed). Louis’ guilt takes on an additional, subtle dimension in this version: Victor is black, and the script pays closer attention to the Native American origins of the supernatural cemetery in question. As such, Louis’ post-mortem guilt concerns not only his failures as a husband and father, but as a white man. 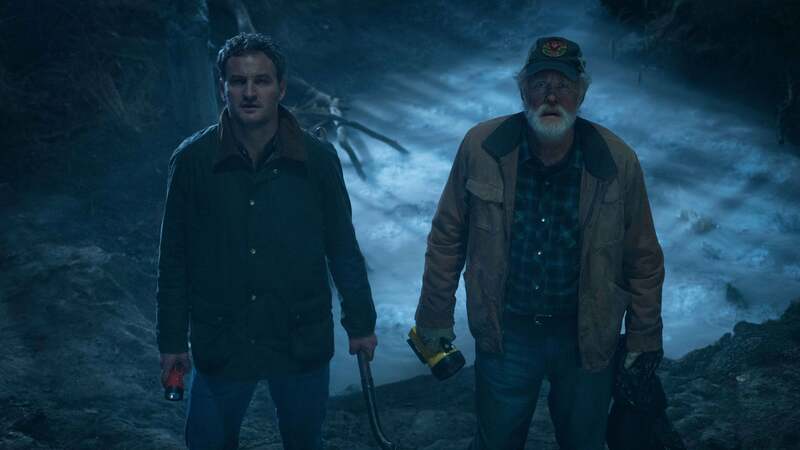 Unfortunately, many of these headier ideas are lost in the film’s final moments, as “Pet Sematary” spirals into the realm of the cartoonish with an ending that feels more like a punchline than a gut punch. “Pet Semetary” premiered at South by Southwest. Paramount Pictures will release it on April 5.